An early morning trip to Ash Shargiyah Development Company Farm proved to be very successful. The weather was poor, with cool temperatures, rain and a stiff breeze but perseverance paid off. The site is located near to Jubail, inland in the desert and is an extensive area of mixed habitat, including large pivot fields growing crops, plenty of haystack piles, a large wetland area, small reed-beds, extensive scrubby desert, disused and dry pivot fields and quite a few large trees growing along the track edges. There is a security gate but once we were through there we were able to bird as we liked without any interference. The large wetland area on the right hand side of the road shortly after you enter the site held most of the good birds. Two Vagrant Spur-winged Plovers were together on this pool before flying off over our heads to an area behind the wetland on the other side of the road. This species is still an extremely rare bird in the area but sightings are becoming more common and birds may be starting to colonize the region? A single bird was seen here last time we visited in November which is presumably one of the ones seen. 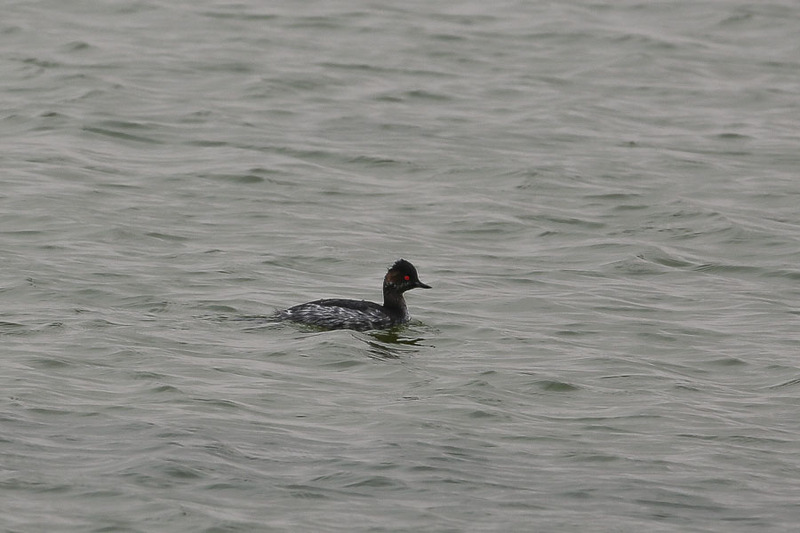 The wetland area also had four Black-necked Grebes which is the largest number I have seen together since I have been in Saudi Arabia. Another bird was on the other side of the road along with a Great Crested Grebe. 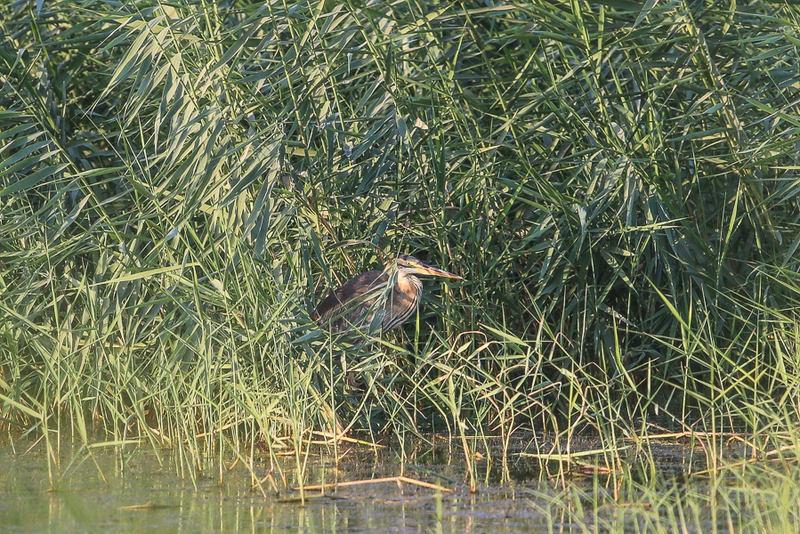 Two juvenile purple herons were seen here along with an adult Purple Swamphen. 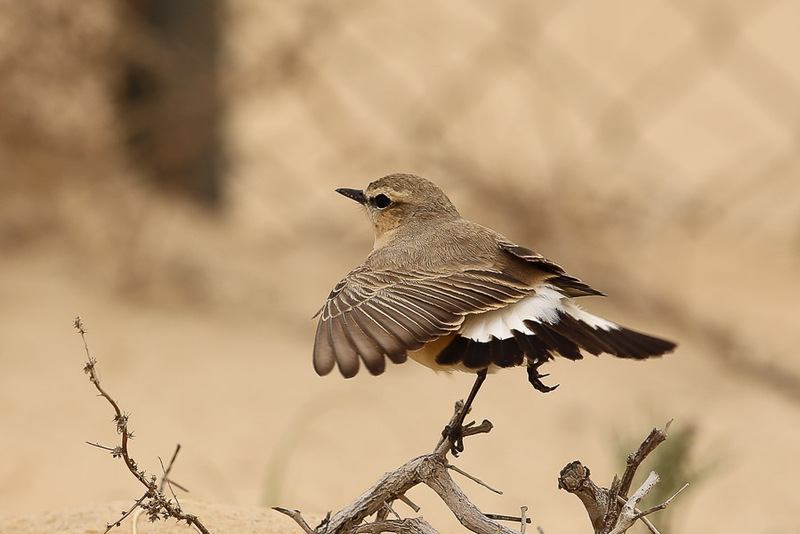 This is only the fourth site in the Eastern Province where the species has been seen after Sabkhat Al Fasl, Khafrah Marsh and Dhahran percolation pond. 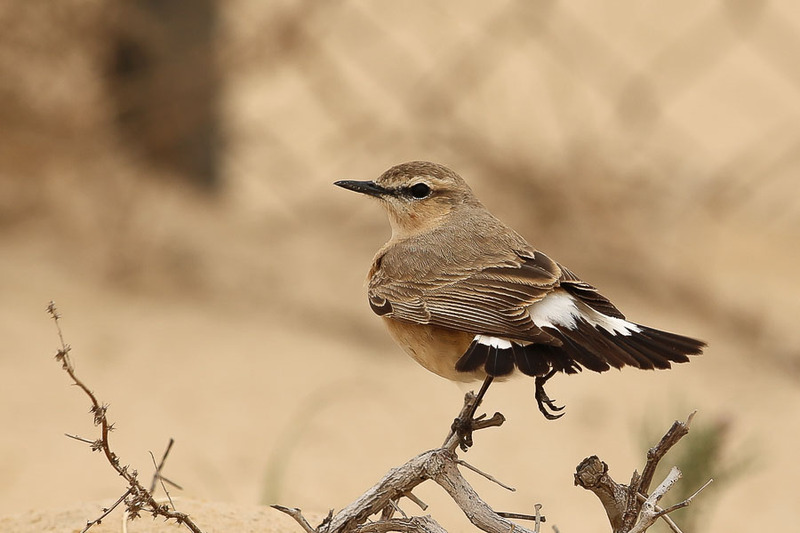 The species appears to be spreading out from its original breeding range of Sabkhat Al Fasl to other areas and this sighting may well prove to be another breeding site for the species? After the wetland we went and explored a few of the large pivot irrigation fields. These had two species of pipits of which one was Tawny Pipit and the other looked like Meadow Pipit but no good views were seen as the birds would fly and land in the cover and not show again. Up to 50 Eurasian Skylarks were seen in the fields and seven Common Kestrel but not much else. Other birds of prey seen included a Eurasian Sparrowhawk, five Western Marsh Harriers, a really smart adult male Pallid Harrier, which was an early date for the species for the Eastern Province, although most early records involve adult males over pivot irrigation fields like this one, and a Steppe Eagle. Other interesting birds included a Desert Warbler, two Isabelline Wheatears, seven Desert Wheatears and two Daurian Shrikes.